Yggdrasil has a solid reputation for consistently good pokie games. They tick all the boxes of great graphics, great features and a great atmosphere. Orient Express is certainly no exception to this rule. This title is loosely based on the Agatha Christie novel, Murder on the Orient Express. Yggdrassil have cleverly timed the release of this new pokie with the recent release of the film of Christie’s book which includes a roster of A list stars including Johnny Depp and Judi Dench. While you won’t see any of these stars appearing on the reels, the cast we get are certainly a collection of interesting characters. The goal of the game is to complete a train journey from Paris to Istanbul. Each time you reach a new city, of which there are 4, you will receive a new set off features that come into play that alter the base and bonus games. Once you have reached the final city, you will be able to pick your favourite city to play in when you activate the Free Spins game. Jonas Strandman from Yggdrasil said in the pokie’s press release that the way the game develops the more you play should keep players engaged and entertained. It is always a battle for developers to keep fans playing as many pokies are simply one trick ponies. 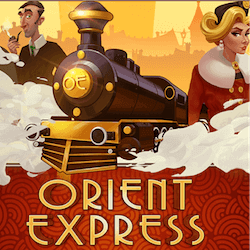 Developers like Yggdrasil are always trying to push the boundaries of what a good pokie game can or should be and Orient Express is a strong step in a great direction. This pokie is HTML compatible so you can enjoy it on your desktop or on a mobile device. The ideal way to play Orient Express would probably be on a train. Hopefully without the murder from the novel that inspired this title. As with almost all of their latest releases Yggdrasil have also incorporated their social media features by including their BOOST software while the whole thing is supported by their rock solid iSENSE 2.0 client platform which will ensure smooth and safe gaming. Additionally the pokie also includes the BRAG tool which further cements the game’s social media integration with players. It is hard to ignore the norms that Yggdrasil are slowly introducing in the industry and if other developers don’t want to be left by the wayside, they will need to sit up and take note of what the industry leaders are getting up to.